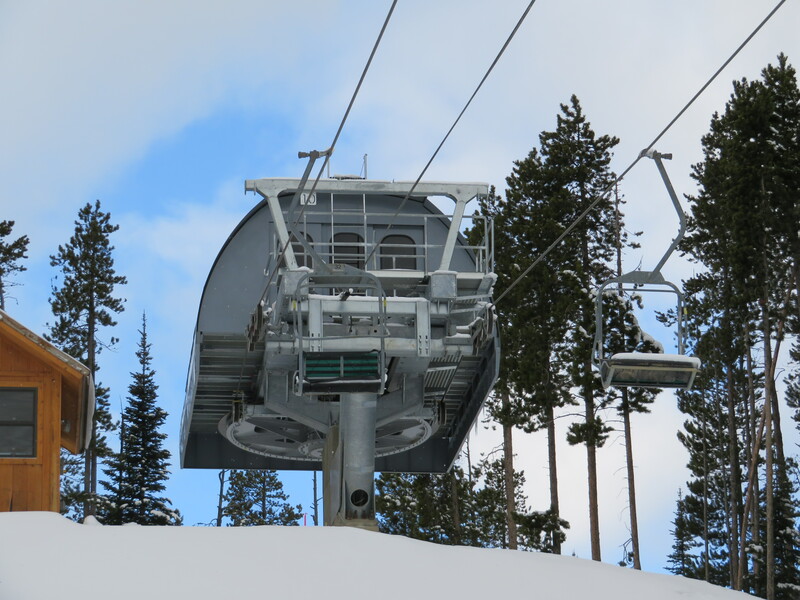 This Skytrac Monarch double chair is the final version of a lift on which construction began in 2008. 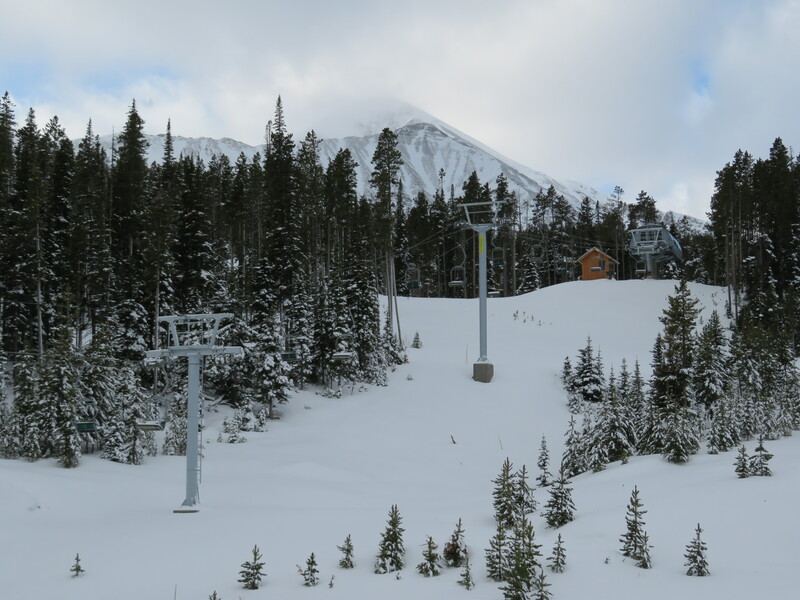 Moonlight Basin filed for bankruptcy and Skytrac finished the lift in 2017. The lift line crosses under high-tension power lines and over a reservoir. Top drive/tension terminal seen from below. Skytrac tower 8 and Doppelmayr tower 9. 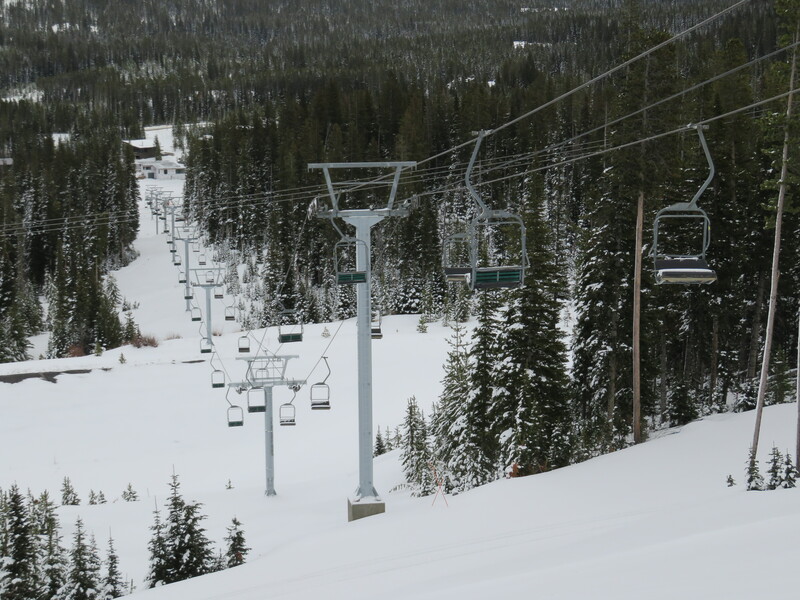 View down the lift line. Upper section of the line. The Doppelmayr equipment came from Beaver Creek. Bottom station. This lift is purely to provide egress from a real estate development. Not really needed for this lift, but on SkyTrac Lifts in general, do they have the option/capability to have foot rests? That could be a big limit to their growth at larger resorts with longer lifts if they can not do that. All three eastern Skytracs have foot rests. 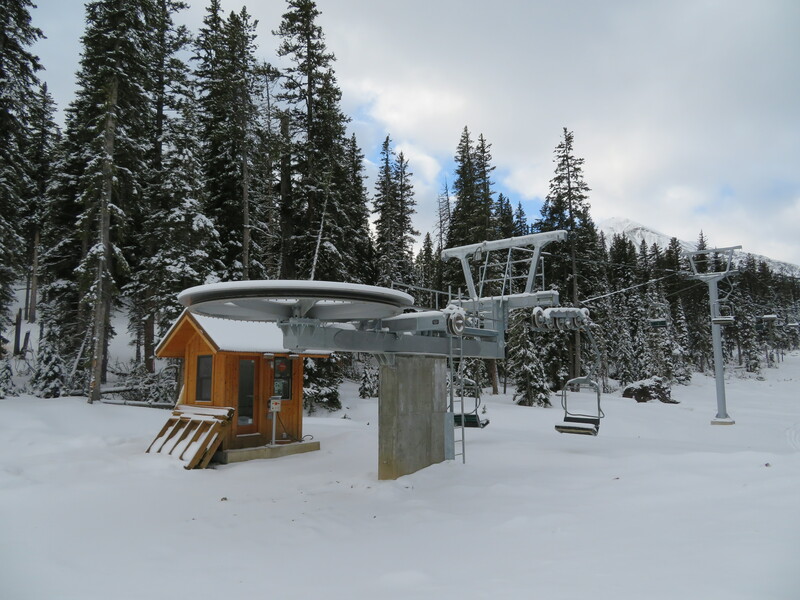 This includes the Summit Quad at Berkshire East and both Skytracs at The Hermitage Club. 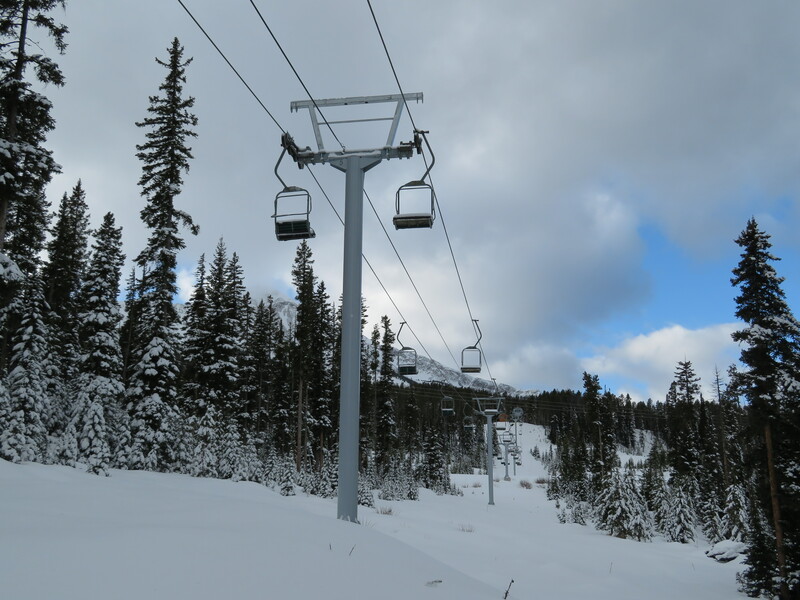 Powder mountain’s Sundown, Mary’s, and Village are all Skytracs and have footrests. I would imagine yes. Where did the chairs come from? I don’t think that is true because I have one of the old chairs on my porch and I have seen the other chairs around the resort for seating. I heard from the Mr. Phill Patterson, that the rest of the chairs went to the employees. Your chair is from Haymeadow? That is the lift that became Stagecoach. 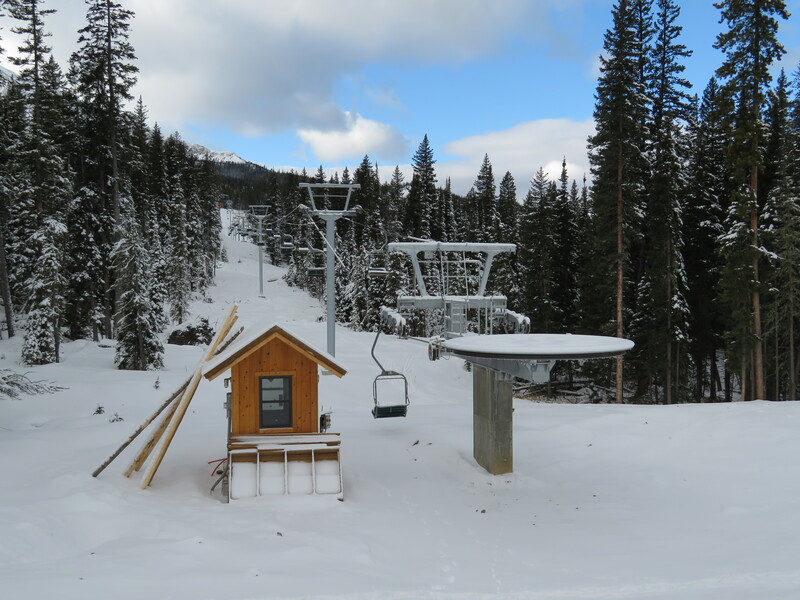 The Lift was Hay Meadow all 160+ chairs where in the boneyard and the original drawing set was from that lift. 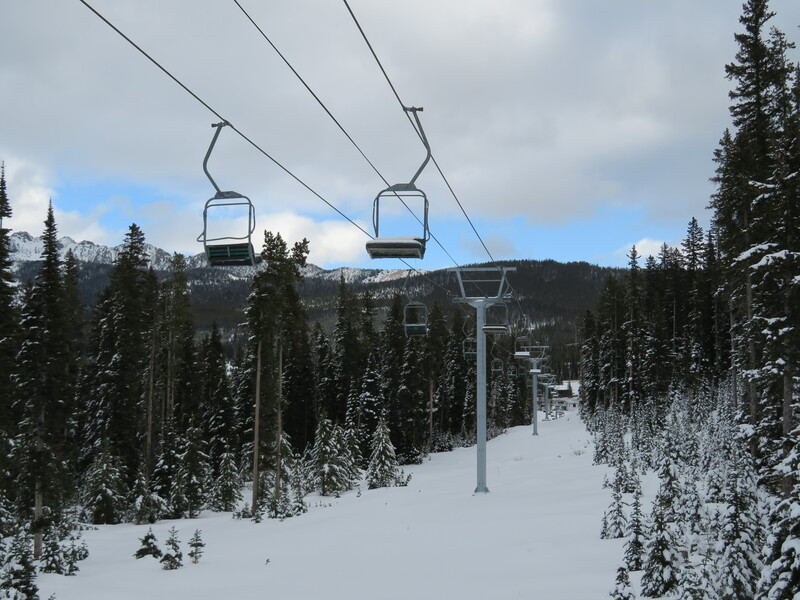 We only used 61 chairs for the Stagecoach lift, word was Moonlight was going to use 30 or so to replace the current chairs and increase capacity on the Headwaters lift. 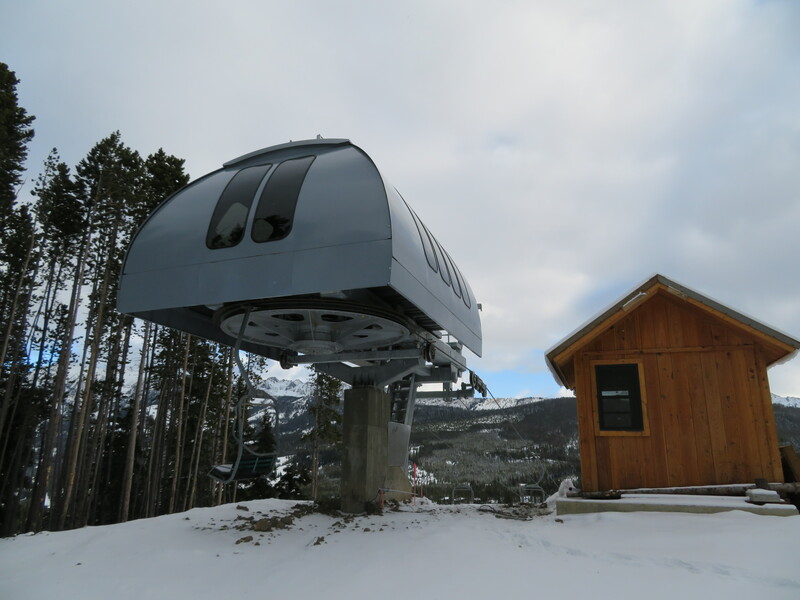 BTW the Doppelmayr bull wheels are on the Bozeman craigslist for $800 each or $1500 for the pair but you have to pick them up, If you need a Kiss 940 they may have one available too as the whole Moonlight boneyard is getting scrapped soon. Is there only a slow button on that control pedestal? On this particular lift there is no reset or start button outside. 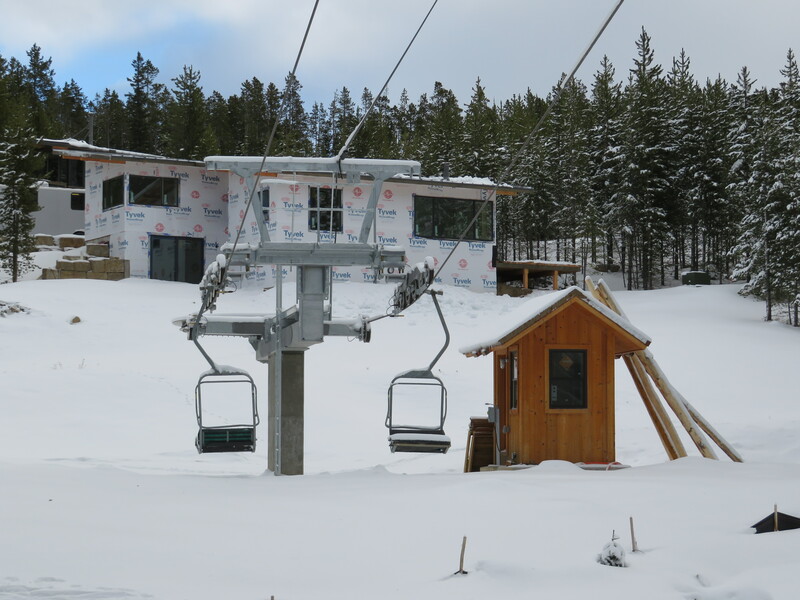 I think the lift must be restarted from the lift shack. I could be wrong though. 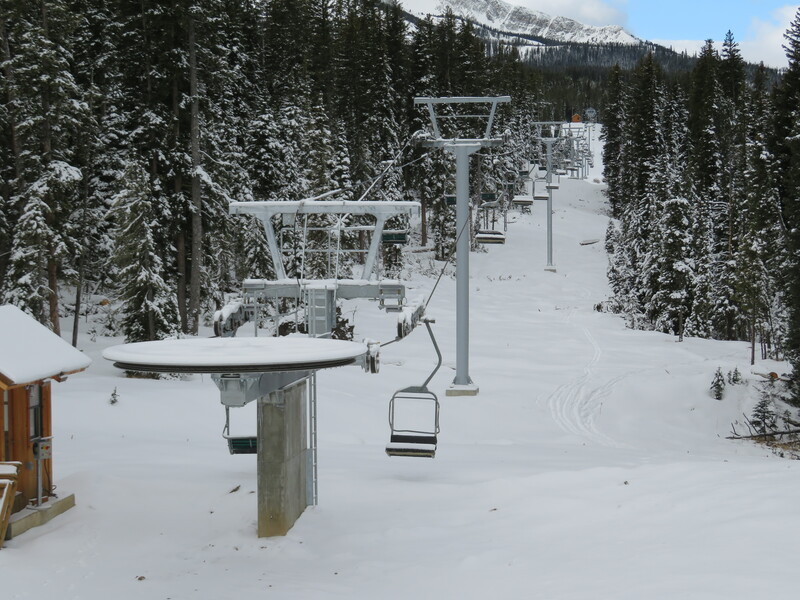 Many return pedestal on lifts only have a stop, slow, and beeper. 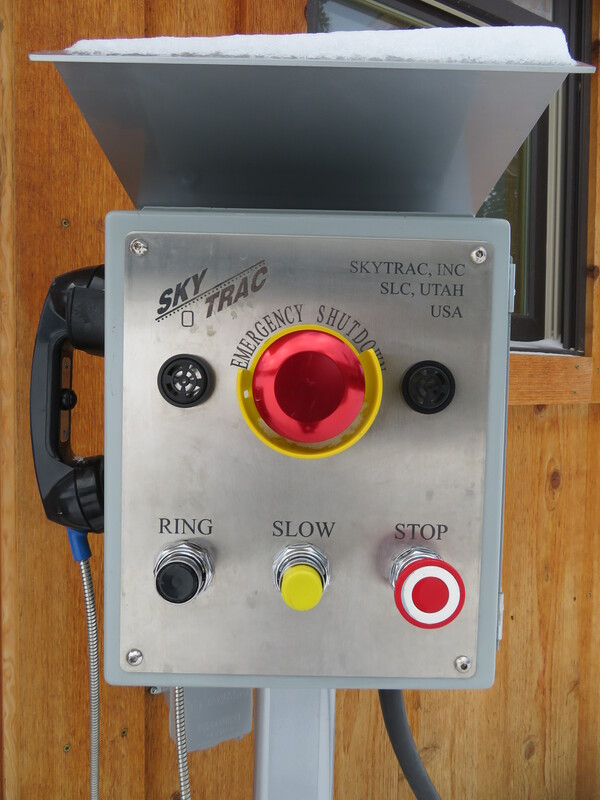 The lift can only be sped up, reset, or started by the drive terminal. It could be different, but that is what I’m used to seeing.